Cannibal savages kidnap settlers from the small town of Bright Hope, a team of gunslingers, led by Sheriff Franklin Hunt (Kurt Russell), aims to get them back. Unfortunately they are way ruthless than anyone could have imagined, turning the rescue mission into a fight for survival. Well this all looks very promising and with Kurt Russell it should add a bit of clout to this horror western. I think I will be checking out this movie for sure, so let’s hope it is worth it! So that was the Bone Tomahawk movie trailer, was it a hit or miss with you? Are you a Kurt Russell fan? Please subscribe and leave a comment below. 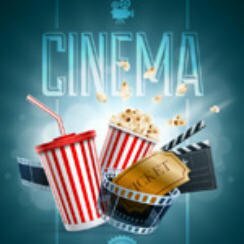 Why not book Popcorn Cinema Show and never miss a new releases! You can also find us on social media be it Twitter, Youtube, Facebook, Google+ or Pinterest, simply tap or click on the social icons at the top of the sidebar.